Don't forget to send your RSVPs and join us for our April 26th General Membership Meeting. 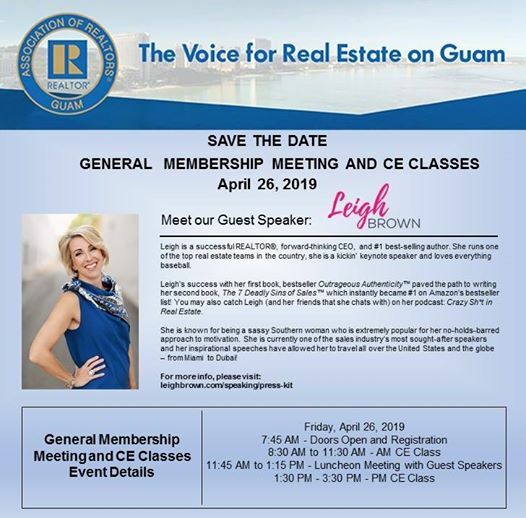 email: garadmin@guamrealtors.com to rsvp today! General Membership Meeting and CE Classes Event! 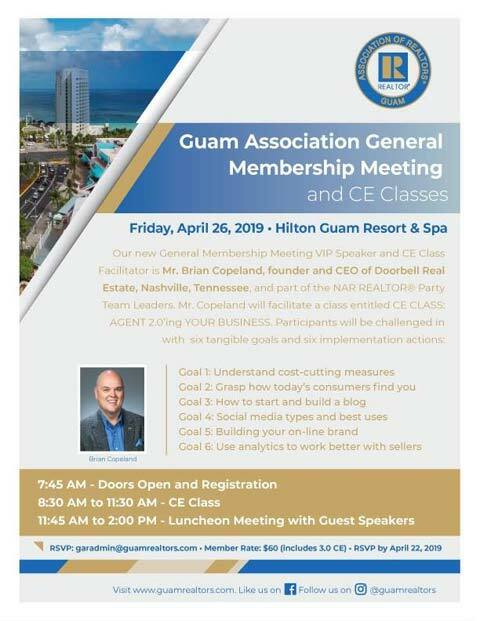 Mark April 26, 2019 on your calendars and join us for our General Membership Meeting and CE Classes Event! We are pleased to announce that our Guest speaker for this event is Ms. Leigh Brown. Ms. Brown is a successful REALTOR®, forward-thinking CEO, and #1 best-selling author. Don't miss your chance to attend this great event! 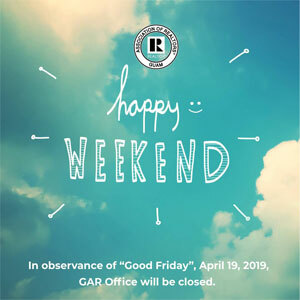 In observance of “Good Friday”, on April 19, 2019 GAR Office will be closed. Normal business hours will resume on Monday, April 22, 2019. 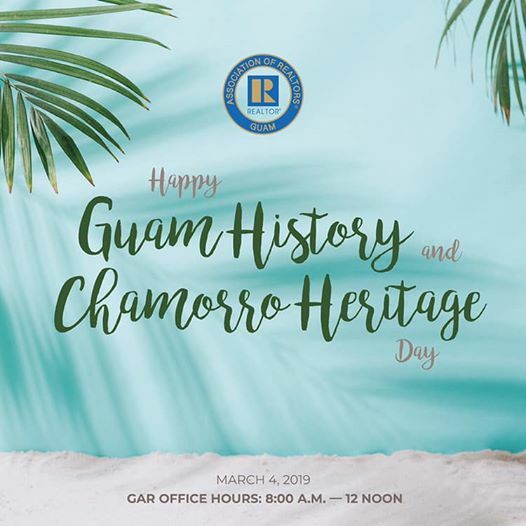 Guam History and Chamorro Heritage Day! Happy Guam History and Chamorro Heritage Day! 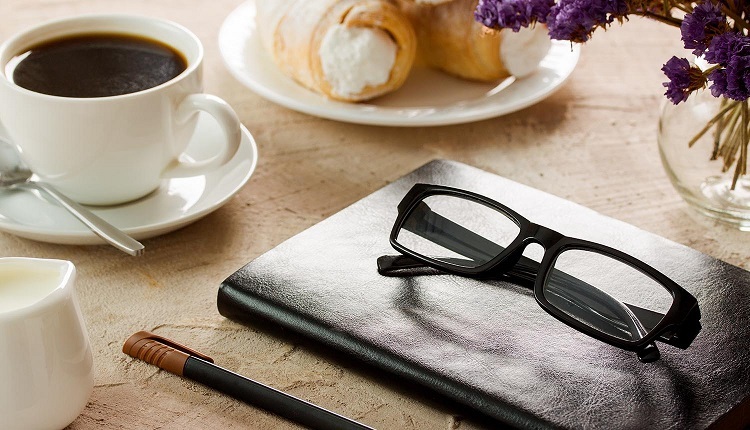 Please notes our office hours for today March 4, 2019 is 8:00 a.m. to 12 noon. Wishing you all a happy holiday! 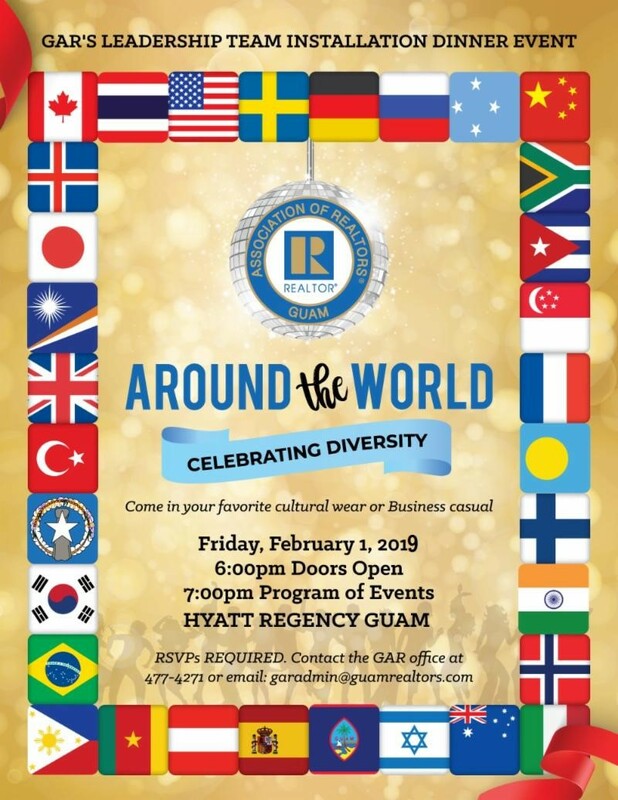 Around the World Leadership Team Installation Dinner at the Hyatt Regency Guam at 6:00pm on Friday, February 1, 2019.